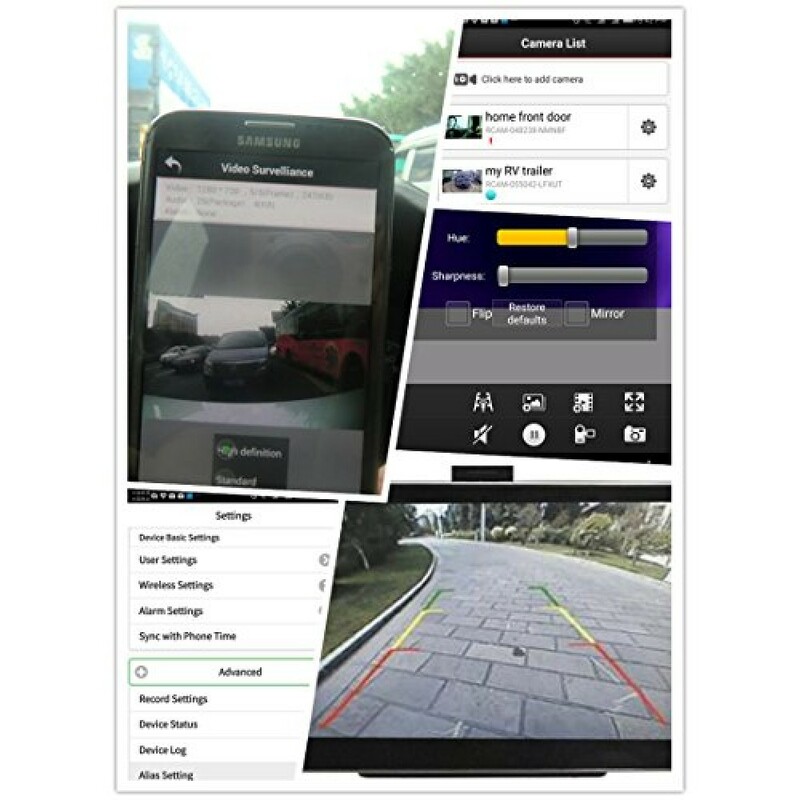 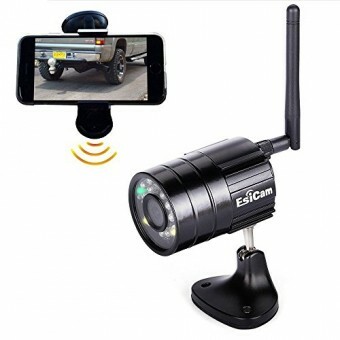 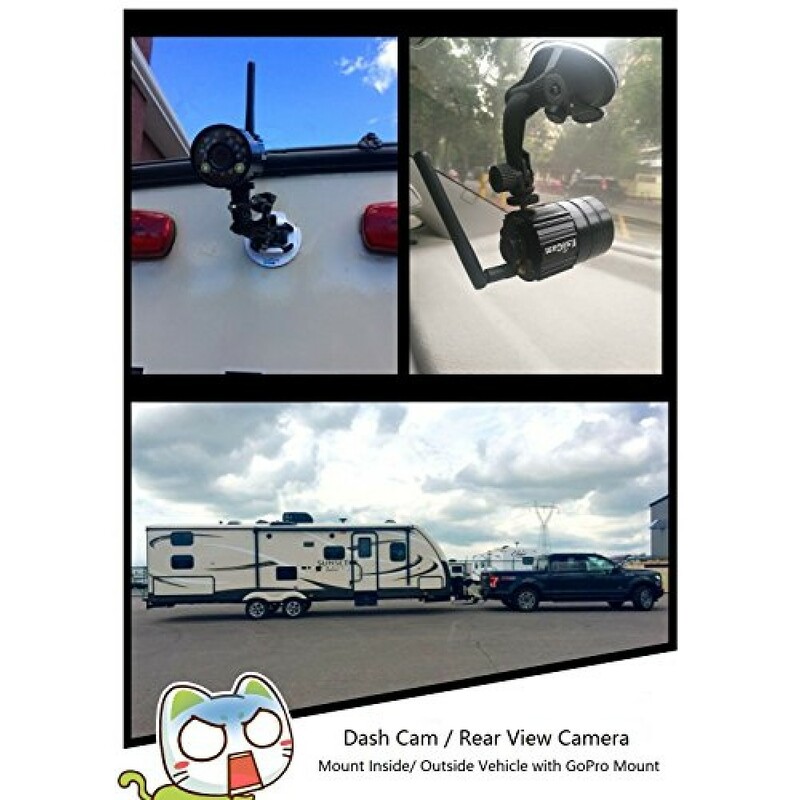 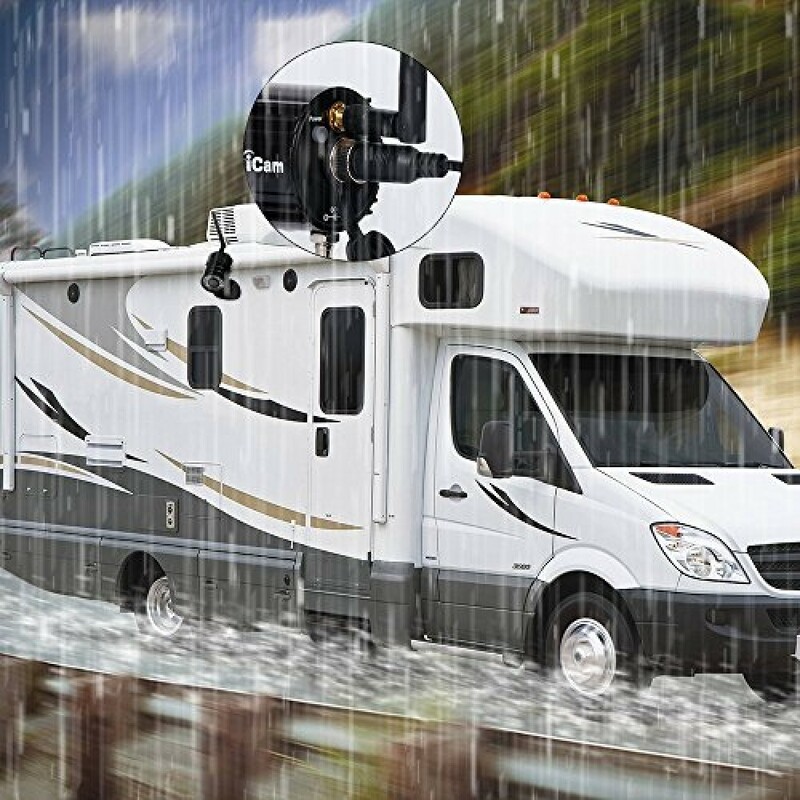 It is a Battery powered WiFi backup camera for RV trailer hitch and parking, also a Versatile Dash Cam and Waterproof IP Camera,use not only for Car security,but also for Home Security, Camping Security,Farm Security,Baby Monitor . 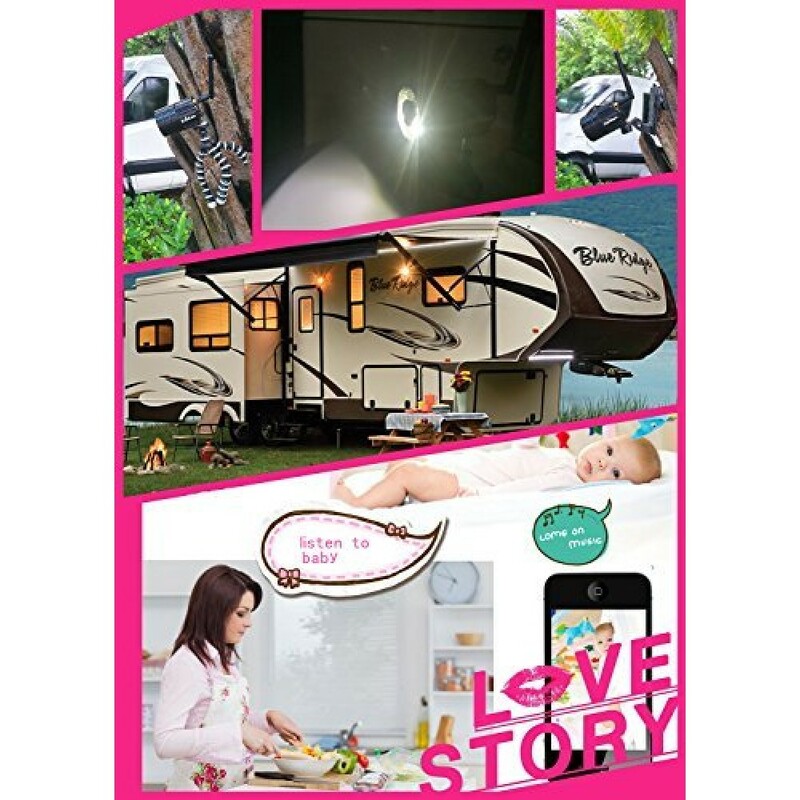 (11)Solid Aeronautic Plug socket with screw for waterproof charging with external power source cord,prevent the camera from falling off during travel. 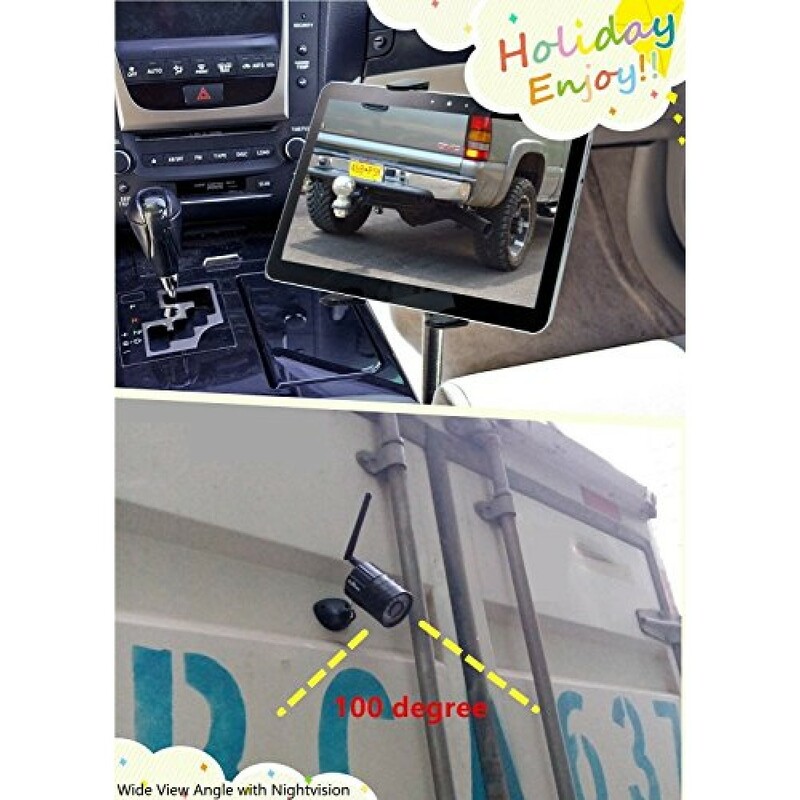 【Easy Connect】：World First Simple Battery Powered backup camera HD solution for Smart Phone.Use your Phone/iPad/Tablet as monitor instead of a dedicated LCD Monitor ,connect by local wifi from camera, No Need Cell Service,no data plan required,no router required,work in wild field, interference free, no time laps( 0.3 s in VGA/STD mode), assist for your car vehicle parking & hitch up for blind spot. 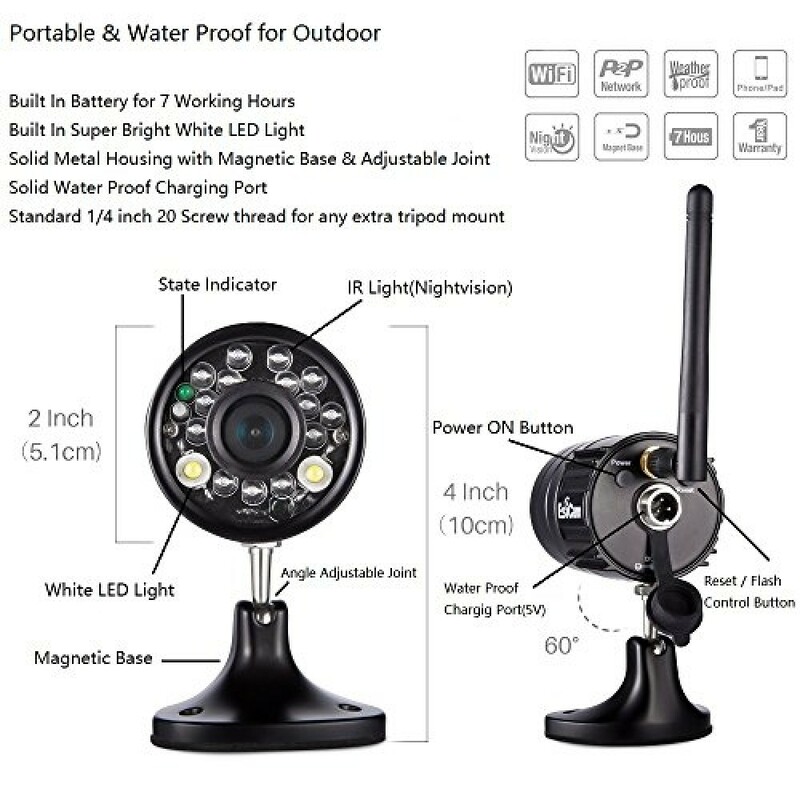 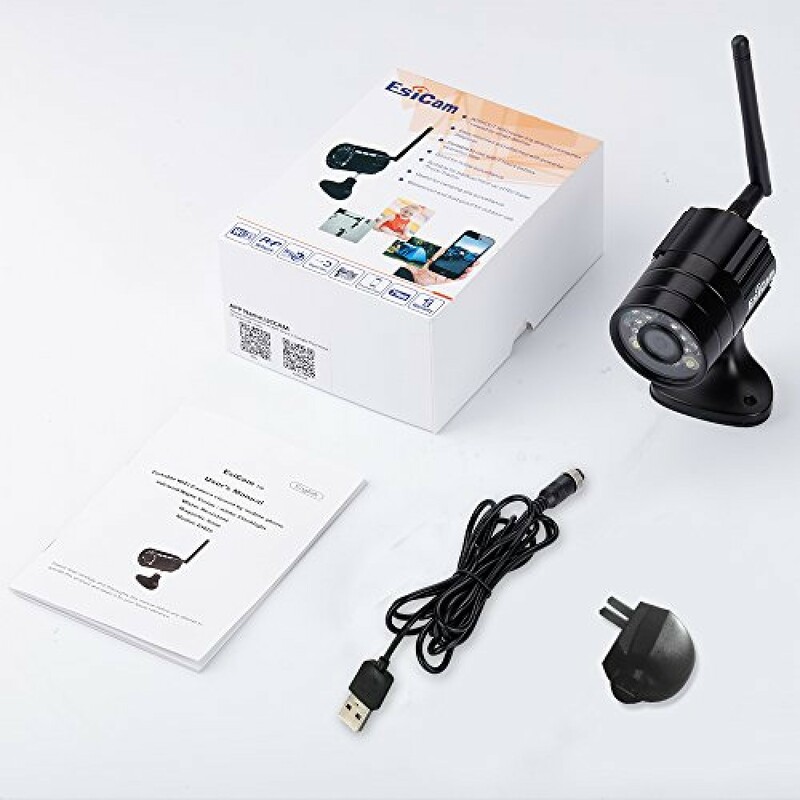 【Powerful Hardware Function】: Built in rechargeable battery for 7.5Hrs working, Built in super bright LED Flash with control button, 10FT Night vision, 50FT Transmission Distance,Solid metal housing with waterproof aeronautic plug socket with screw for external power charging in rain and prevent the camera from falling off .Wide view angle 100 degree,Built in microphone for listening to camera and sound detection alarm. 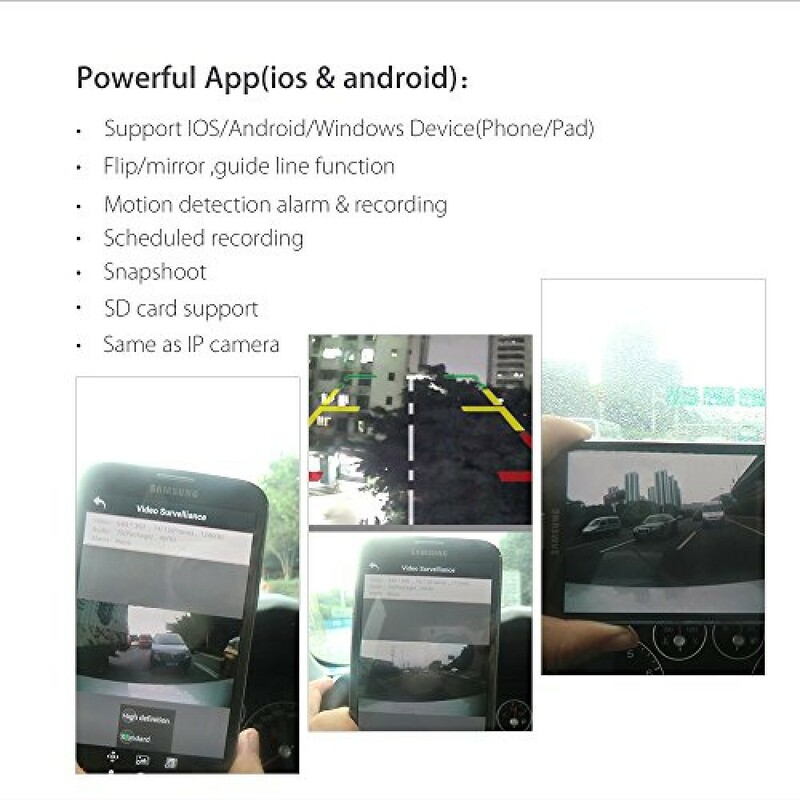 128G SD card support,easy install by unscrewing front cover.